When the time comes to replace a furnace in an existing central heating system, or to install a totally new system, you want equipment that minimizes costs and delivers dependable comfort for your family - season after season. RTraupmann HVAC, LLC has the experience necessary to help you make the best move with your home comfort systems. 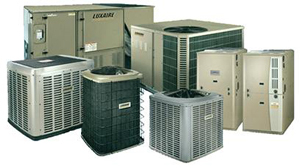 We handle repairs and new installations of high efficiency gas, oil, and electric furnaces as well as heat pumps. 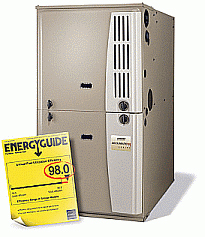 When a furnace loses or wastes heat, it requires more energy to keep your home warm. Some furnaces lose heat through the walls of the furnace cabinet. A high-efficiency furnace generally wears a higher price tag, but it can make up the difference by reducing operating costs over the long run. And with today's consumer interest in efficiency, such equipment enhances the bottom line of your home.